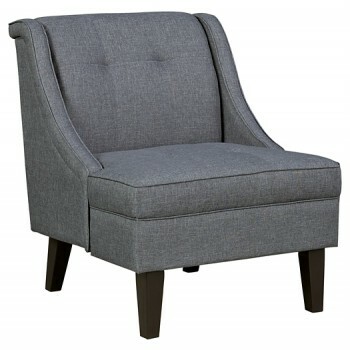 In the chicest shade of gray, this chair’s linen-weave upholstery complements so many color schemes and aesthetics. Gently sloped arms, prominent welting and button tufting add just enough panache to this sweet and simple chair. Supportive seat cushion makes for one comfortable landing pad.